Accident Attorney Corpus Christi: Call Us Today for Personal Injury! Whenever you’re involved in a car accident, it can be difficult to remember what to do afterwards, especially if you’re stunned, overwhelmed, or injured by the collision. At The Law Offices of Alex R. Hernandez Jr., PLLC, we understand how scary car accidents can be. 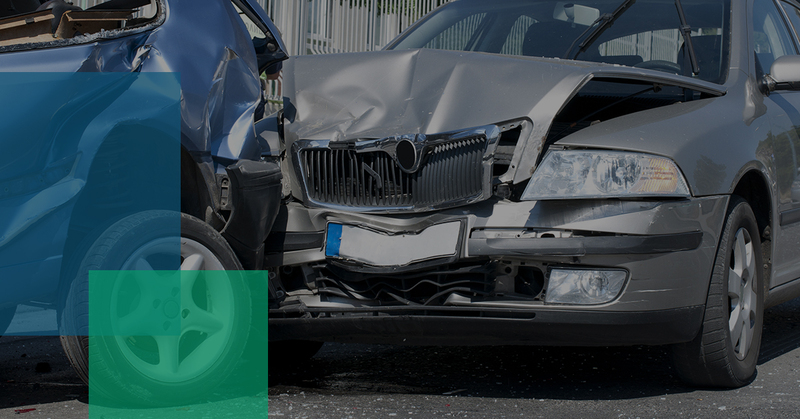 If you were injured or hurt in a car accident, call us today. Our compassionate and sympathetic lawyers will work with you to get you the compensation you deserve and the help you need. Fluent in both English and Spanish, our lawyers are dedicated to you. If you’re in the Corpus Christi or Victoria, Texas area, call us now! As soon as you are involved in an accident, try not to panic. Take a deep breath and stay calm. If you or a passenger is injured, call 911 immediately. If you’re unsure if you’re injured or think you could be in shock, mention this to the 911 operator. Even if you’re scared or hurt, try your best to communicate clearly and to give accurate directions or a street address so that emergency personnel can find you quickly. If you think the other motorist is injured, be sure to tell this information to the emergency operator. It’s important to get out of the flow of traffic, so if your car is driveable, try to move it to the side of a street or a parking lot to protect yourself and other motorists from any other collisions. If you can’t move your vehicle, stay inside and turn your emergency flashers on. It’s a great idea to keep orange cones, warning triangles, or flares in your trunk just in case your emergency lights don’t work or are damaged in the wreck. While you’re waiting for the police and/or the ambulance to arrive, make sure you have your car insurance card, vehicle registration, and driver’s license or ID card ready to give to the police officer. Stay in your car until the police or emergency personnel arrive. If the other driver is able to talk with you, exchange names, addresses, phone numbers, insurance company policy and contact information, as well as license plate numbers. Get basic information (names, addresses, phone numbers, email addresses, etc) from all passengers involved in the accident as well, if possible. Try to keep conversations cordial and cooperative, even if tensions are high. Don’t admit to anyone that the accident is your fault, even if it is. Even saying something as simple as “I’m so sorry! I didn’t see you!” could mean that you just admitted legal liability. After you’ve gotten the information that you need from the other driver, don’t say anything else to him or her until the police arrive. It’s important to ensure that you say as little as possible so that a “he said, she said” situation doesn’t happen and implicate you in the accident. If you can, take several photos of the damage and accident scene. These will be invaluable if there is an issue with the other driver changing his or her story or accusing you of something that may not have happened. A picture is truly worth a thousand words in this circumstance. State only the facts of what happened from your perspective when talking to the police officer. If you feel stressed out by the situation and you don’t wish to speak in front of the other driver, ask the police officer if you can speak with him or her alone. Choosing to not get flustered or angry will help everything to run more smoothly and keep emotions at bay. Limiting your discussion to the police officer, your insurance agent, and your lawyer is also important to ensure that something that you might accidentally mention to someone else won’t implicate you in the accident. If there are witnesses, do your best to get their contact information and record what they saw as soon as you can. If you have a cell phone with voice recording capabilities, this method is quicker than writing their statements down and is more accurate. As soon as you can, call your insurance agent to notify him or her about the accident. Be open and tell him or her everything that happened and answer all questions that are asked as thoroughly as you can. If you’re found to have lied to your insurance agent about any of your information, you can be in serious trouble or even have coverage denied. Obtain the police report when it’s available and keep one copy for your records and also submit one to your insurance agent so there is an official accounting of what happened and who was at fault. If you have received medical treatment, keep all of your hospital and medical records. This includes emergency room visits, ambulance rides, specialist referrals, physical therapists, and any other medical professional you see. Detail what type of care you received, what it was for, and the date that treatment occurred. Also, keep backup copies of the bills, expenses, reports, and prescriptions so you can prove that you received medical help. Medical treatment is easy to document, but pain and suffering is a little harder to chronicle. Keep a record of how many days of work you miss (if any), any daily activities that you can’t perform, and how the accident has affected your life and family interactions. If you’re experiencing anxiety, fear, or any other emotional struggles following the accident, be sure to document them as well. Keeping a meticulous record of what has gone on physically and emotionally since your car accident will help you to be covered in case someone tries to prevent you from being compensated for your health issues. An attorney can help represent you if you’re sustained personal injury from a car accident. An experienced lawyer will maximize your recovery if you require medical care due to a reckless driver or will represent you if you’re found at fault. A lawyer will also be able to help you if the other driver is uninsured. Protecting your rights is extremely important and you should always consult an attorney before giving a statement of any type following a vehicular accident. A car accident can be scary and overwhelming, and having to take legal action can and will only add to your stress. If you have been injured and find that you need a personal injury lawyer, call The Law Offices of Alex R. Hernandez Jr., PLLC. We understand how traumatizing an accident can be and the headache of trying to prove that injury occurred and you should be compensated. We can represent you and make sure that you can get the justice you deserve and the compensation you need to take care of your health, as well as your family’s. The team at The Law Offices of Alex R. Hernandez Jr., PLLC is available around the clock to advise you and provide legal counsel. We understand that a car accident can occur at any time, and we want to make ourselves available with a free, no-obligation consultation. If you need legal counsel or representation after a car accident in Corpus Christi or Victoria, Texas, call us today!